It is more than obvious that the drone technology had become the THING in the last couple of years and that everyone owns at least one drone, whether simply for flying it in the backyard, for breathtaking aerial photography, or in thebest case, for FPV racing. And, we are actually not surprised that the drone mania took off, considering that they are much cheaper than they were in their beginning, and most importantly, much easier to control. Now, assuming that you are reading this article because you are interested in becoming a drone pilot (sounds pretty cool, doesn’t it? 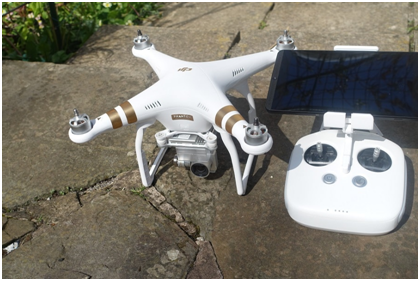 ), we can only tell you that you are in the right place as we will offer you best drone model suggestions for any type of Drone Sky-Fun activity. If you are looking a drone model that will be your stress reliever, you don’t have to think big. For example, you don’t need to spend hundreds of Dollars just to be able to fly your High-End drone behind the house(even though it has a 3-mile range), every Sunday. No, what you need is a simple beginner model that costs less than $50 and allows you to simply fly it and get used to the whole concept of RC control. The models that are perfect for this type of entertainment are Syma X5C, Eachine H8 Mini, Hubsan X4, and Cheerson CX10. They are all small, easy to control, offer good enough stability for beginners, and some of them even come with a camera (not the real HD quality, though), so that you can even make footage of your Sunday fun. Furthermore they are all cheap and have cheap and easy-to-find spare parts, which is actually ideal if you are just learning to fly, because you will definitely crash it a lot in the beginning and it is never a bad thing to have spare parts ready. Actually, if you want some pointers on how to fly, the guys at the FAA have a great guide for everyone interested. Actually, what we forgot to mention is the fact that this hobby is highly addictive, and after only a week or two, you will pretty much fly your bird every chance you get. Also, once you become really comfortable with your piloting skills, you will definitely want to fly a more serious model, and that is when the bigger birds come into play. As we just explained above, once you outgrow your mini drone, you will want a more serious, higher-end model that can go faster, higher, and farther. Also, another great “side effect” of this hobby is that you will definitely become interested in aerial photography. So, which models are fit for this? You might think that it will be an easy choice, but with the plethora of models on the market, and with the every-day-a-new-one-popping-out Chinese manufacturers, it might not be as easy as you thought. Actually, it won’t be easy at all, but that is why we are here, to help you out! So, assuming that you are pretty comfortable with piloting a drone, but not quite a “Top Gun” yet, the models that you are looking for should come with as many cool features as possible. But, you are probably aware yourself that the price of such models goes from some $200-$300 to higher, much higher. Also, since now you are an aerial photographer in the making as well, you will want at least a Full HD camera, right? Now, the first models that come to our mind are the famous DJI Phantoms (3rd generation or the relatively new Phantom 4), or you can opt for the latest hit, the Mavic (also from DJI). We should also mention models like the 3DR’s Solo, theYuneec’s Breeze 4K drone, or the Ehang Ghost Drone, or maybe some Walkera models like the Scout X4 or the QR series. The things that all of these drones have in common are: they are unbelievably easy to control, offer great image and video quality (from Full HD to 4K), and offer tons of fun every time you take off. Furthermore, if you are thinking of becoming an aerial photography expert and start shooting jaw-dropping videos, these models are perfect because they all offer great flight-assistance features (altitude hold, GPS flight control, auto take-off and landing, pre-planned route flight, and more), and cool filming modes like point of interest, orbit, follow me, cable cam, and much more, allowing you to let the drone do all the flying while you focus on filming. If you really want the best ones for filming, then we suggest checking out the models like the DJI’s Inspire 1, the Spreading Wings S1000, or the Walkera’s Voyager 3 drone, which are the best of the best when it comes to aerial photography and filming. Now, some of you might not stop here… And, for those who are more interested in flying, rather than filming, the next logical step, assuming that you have mastered the piloting skills like you were born with them, is the Freestyle or FPV Racing! Drone racers are the elite of the elite amongst drone pilots. No wonder this sport is becoming more and more popular, and mark our words, drone racing will become the next Formula 1! However, to be able to fly as insane as they do (ask your good friend YouTube what drone racing league is), you need to know how to fly your drone in FPV (First Person View), and to fly without all the flight assisting gadgets like the barometer (for altitude hold), gyros (for auto leveling) and a bunch of other sensors and chips for beginners or for stable aerial photography flights. When it comes to racing drones, it is just raw power and exceptional pilot skills. But, with plenty of practice, everything can be achieved so don’t give up on this idea. If you do keep your cool and endure the hard first few months of training, you will feel such an adrenaline rush while you push your drone to speeds of up to 80 mph, perform insane stunts like flying barrel rolls over and under a bridge, or race with your friends in a closed factory track or in a closed parking lot. You will really feel like a fighter jet pilot, minus the G-Force, obviously. The finest models from this class are the SunFunder 250, the RISE Vusion 250, Walkera Rodeo 150, Arris C250, or perhaps the X-Speed 250B (also from Arris). Whichever model from the mentioned ones you choose, expect high-speed, adrenaline-raising, heart pumping flights! To find out more about this amazing new sport and the best racing models, we suggest checking out the article choosing a racing drone. Okay, now that you know which are the best drones for entertainment we suggest starting slow with a cheaper, beginner model, and then advance to more sophisticated ones. Once you get more comfortable with controlling a drone, you will see where the road takes you. Some of you might find aerial filming and photography fulfilling, so changing the direction might not suit you. On the other hand, some of you will discover that speed and stuntsare everything, so you should go with the racing models. Whatever your choice is, KEEP ON FLYING!